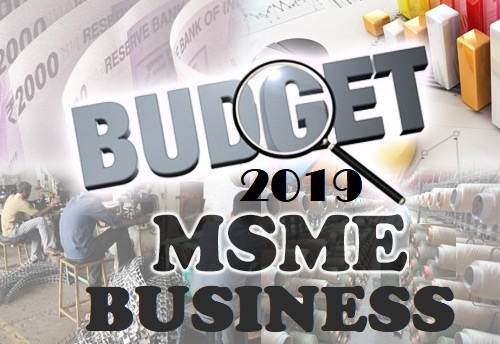 Finance Minister Piyush Goyal on 1st Feb 19 announced a 2 per cent interest subvention for MSMEs that have taken a loan of Rs 1 crore. The government will make it mandatory to source 25 per cent from the SME sector. A scheme of sanctioning loans upto Rs 1 crore in 59 minutes has been launched. GST registered SME units will get 2% interest rebate on incremental loan of Rs 1 crore. A composition scheme shall be introduced for supplier of services having a turnover of up to Rs 50 lakh. The service providers opting for composition scheme can pay tax at a rate of 6 percent (CGST 3 per cent + SGST 3 per cent) on their turnover and would not be eligible to avail any input tax. The said scheme shall be applicable across all service providers. The service providers covered under the Composition Scheme shall be required to file 1 annual return and make quarterly payment of GST. Suitable notification is, however, awaited in this regard. Renewed Focus on Internal trade DIPP renamed to Department for Promotion of Industries and Internal trade. The requirement of sourcing from SMEs by government enterprises has been increased to 25%. Of this, the material to the extent of at least 3% will be sourced from women owned SMEs.